Gola have garnered a strong international reputation for their iconic designs. Their Harrier trainers from the 60s blew up and put Gola on the map. And, of course, you may remember those retro Gola bags that are as quintessentially 70s as flares. They’ve evolved from those decades gone by and are serving up fresh designs for the modern age. 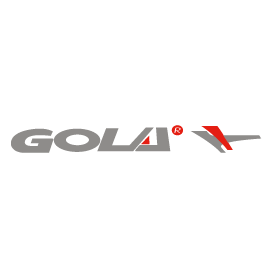 Our range of Gola girls’trainers is available below at great prices. We’ve noticed that the price of trainers has been steadily climbing and nowadays, we feel like people are simply paying for a name and not quality. That’s why we tasked our team of in-house buyers to find shoes and trainers that will go the distance and not break the bank. They really delivered with these Gola girls’ trainers. Their designs are smart and ergonomic, designed to offer support in all the right places. If your little lady is active, these trainers are perfect. They’re sturdy, they’re well-built and they look great too. They’re touch fasten so she can put them on and get going in seconds. There are some really bold colourways available below if you want an eye-catching pair of trainers. As always, all of our products come with free & fast delivery so that’s one less thing for you to worry about. Can’t find what you’re looking for? Head back to our girls’ shoes section. 5 products from £19.99 to £19.99.